Don’t Be a Victim of Abusive Relationships! Too many women (and men) are involved in abusive relationships. Here are some ways you can avoid them. Unfortunately, as long as there have been relationships, there have also been abuse. 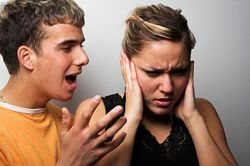 Abuse in relationships can occur in many different situations, such as relationships where the other person frequently says unnecessarily mean and hurtful things. There are many different types of abuse, and therefore, many different types of relationships with abuse. You can't assume that simply because there isn't any physical abuse that a relationship is not an abusive one! Were you ever a victim of abuse? Know someone who has been abused? Abuse can involve one, or even both, of the partners regularly making the other person feel emotionally or physically harmed. Many of these traumas are hard to define because they may not actually feature any kind of physical abuse. However, there are many relationships that involve hurtful and harmful emotional abuse, controlling behavior, jealousy, or other factors. 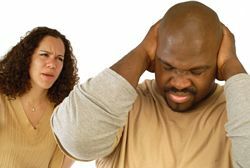 If you are with someone that frequently yells at you for no real good reason, or who tries to limit who you see or what you do to an excessive degree, those are good examples of abuse in that relationship. To avoid getting caught in these bad relationships, keep an eye on early developments in your relationships. For example, if someone displays an uneven temper in dating very early on, that may be a red flag. Abuse can start out relatively innocently, such as when a partner has outbursts all of a sudden that leave you feeling scared or insulted. Again, many of these relationships feature controlling behavior and you may notice very early on that the other person is excessively jealous, nosy, or is trying to control your lifestyle. In these cases, it is up to you to assess the behavior, and be smart enough to get out of the bad situation before it gets worse. Have An Abusive Relationship Story to tell? Do you have photos and a great story about this? Share it! Were you ever a victim of abuse? Know someone who has been abused?,if so, what type of abuse was it? How did you handle it? What did you do for help? How did you get out of it? Were you the abuser and sorry that your were, or aren't you sorry? Share all your stories, ideas and photos of abuse here. I know this is a very sensitive topic so don't be surprised that many of us can feel your pain.